Boardwalk Blitz is a new, mixed-gender beach tournament for adult ultimate players of all experience levels. The tournament is a perfect tune-up for teams aiming to compete during the winter beach season and for groups of friends looking to kick-up some sand at the beach. 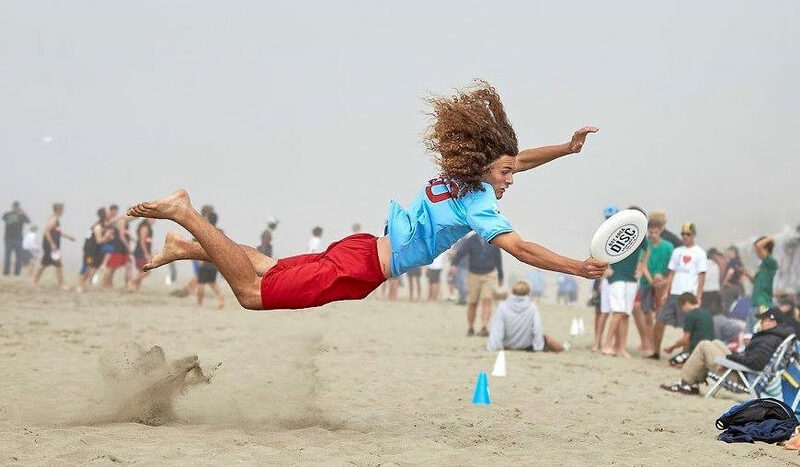 Boardwalk Blitz is the only beach ultimate tournament held at the iconic Santa Cruz Boardwalk, so join us for an awesome weekend of amusement park rides, deep-fried desserts, and spirited beach ultimate! The tournament offers 4-on-4 format games with a 2:2 gender ratio. Captains registering teams have the option to sign up for either a competitive or spirit division. Players without teams can register as free agents for the chance to be added to a new or existing team. Registration also includes a Saturday night tournament party! If you have any questions, please contact info@bayareadisc.org. Early-bird registration is open now through September 15! Sign up today to save. Captains registering teams have the option to sign up for either a competitive or spirit division. Players without teams can register as free agents for the chance to be added to a new or existing team.